An evening of stories and enchantments. 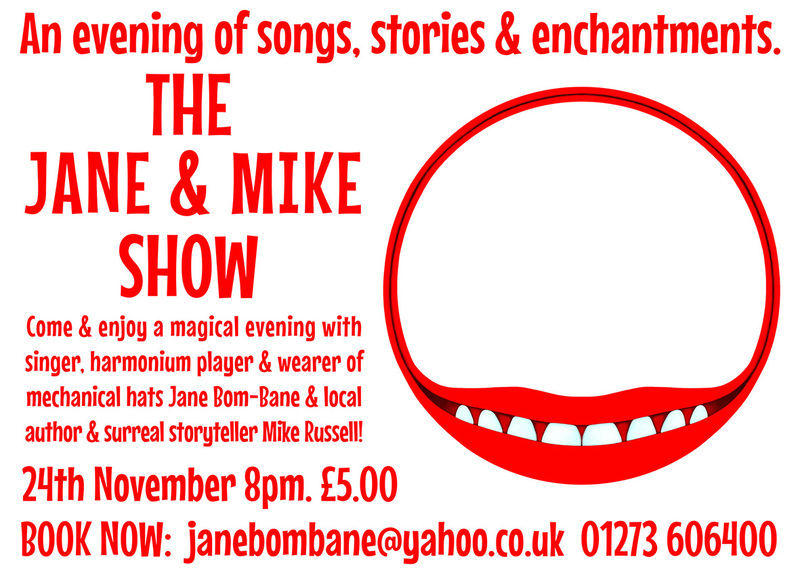 Brighton author and storyteller Mike Russell will be reading strange stories interspersed with various surreal shenanigans followed by mechanical hats and stories from Jane Bom-Bane. Like the idea of mechanical hats, fits in well with my Steampunk tendencies.